We still smell the Atlantic Ocean’s spray and remember the feeling of sand between our toes from last year’s BIG SHOT CHAMPIONSHIP on the beach volleyball courts in front of Bally’s Casino in Atlantic City. The action was fast, the matches were thrilling, the sky was blue, the sun was warm, and the drink of choice was 4C Foods Totally Light Energy Rush: BERRY, CITRUS and ORANGE. The 2012 Volley America promise much more fun & excitement this season, and so does 4C Food with our latest 4C Totally Light ENERGY RUSH Drink Mix flavors: HALF & HALF, STRAWBERRY, ICED TEA LEMON, and ICED GREEN TEA. 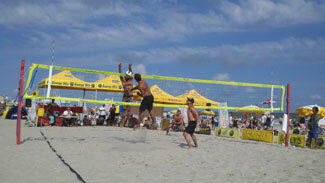 Checkout our 4C ENERGY RUSH FACEBOOK PAGE to see Volley America’s upcoming events all across the area. 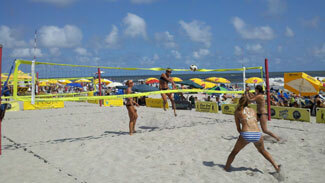 Become a Volley America member to PLAY or sit back and enjoy the games and a cold 4C Energy Rush drink. See ya on the beach!